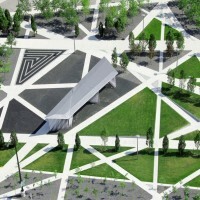 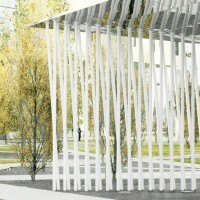 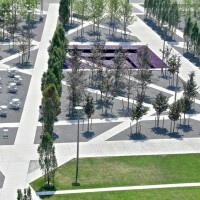 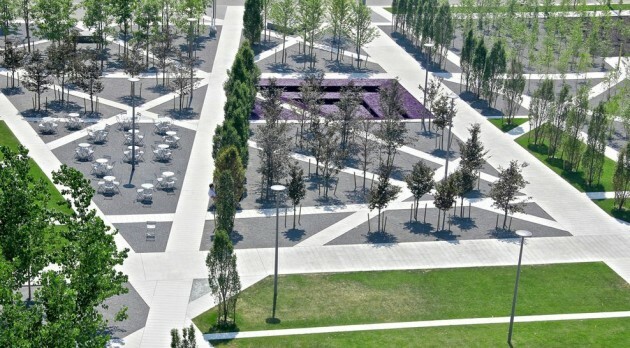 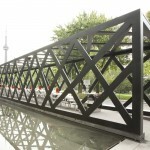 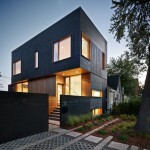 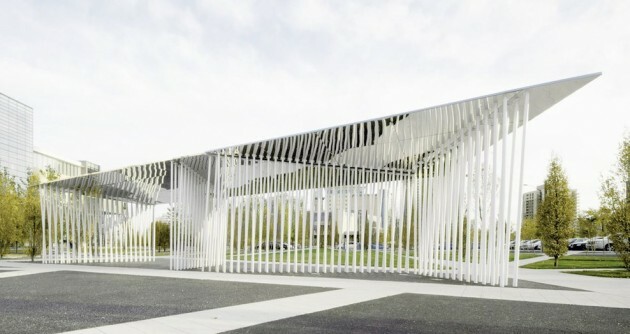 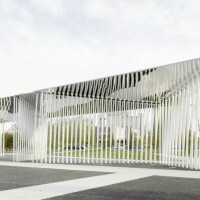 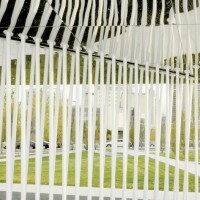 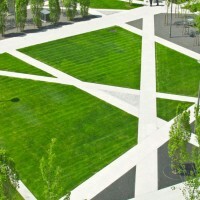 Toronto, Canada-based gh3 have designed the Scholars’ Green Park in Mississauga, Ontario. 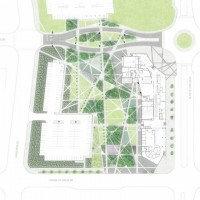 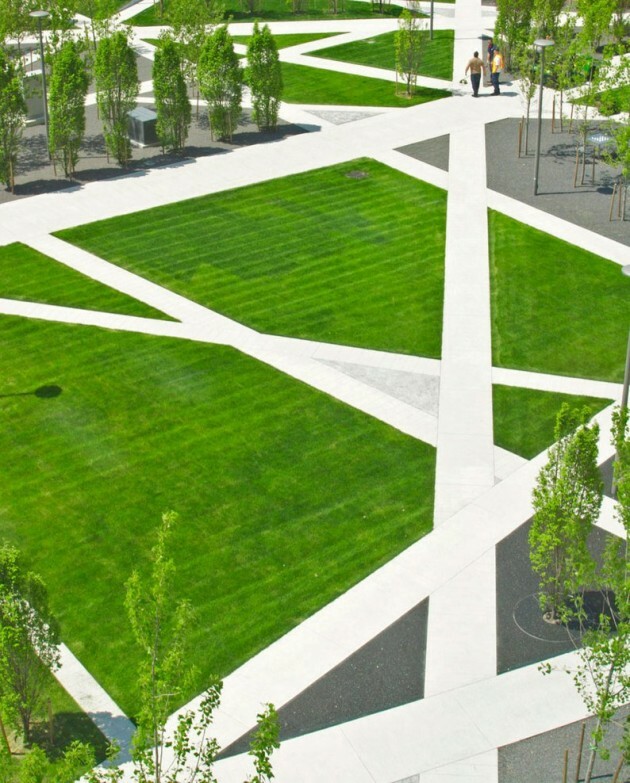 Located at the centre of Sheridan College’s new campus, the Scholars’ Green is a symbiosis of public park and academic common that provides rich outdoor amenity for students, faculty and the surrounding community. 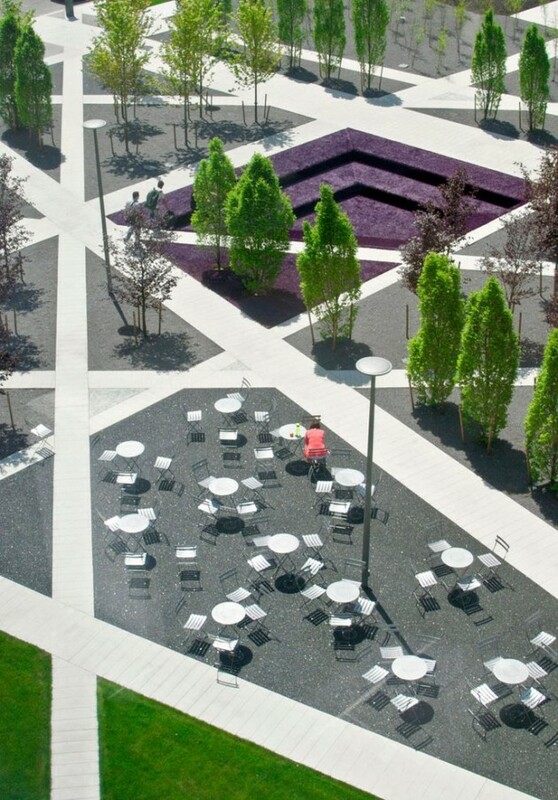 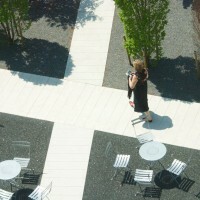 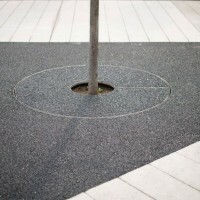 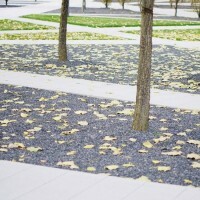 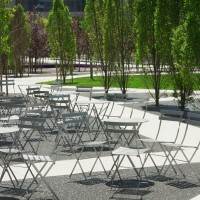 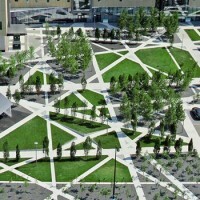 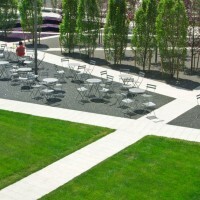 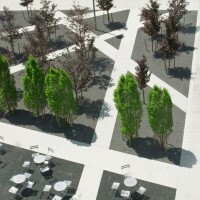 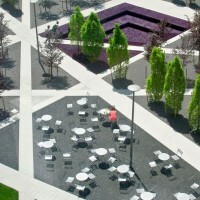 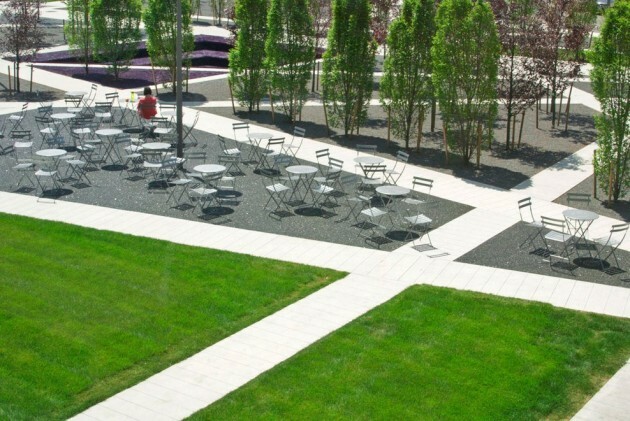 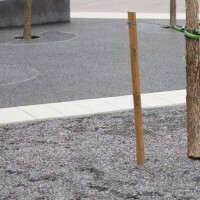 Ordered by a criss crossing circulation system, a modern take on Harvard Yard, it both pays homage to the collegial landscape while providing an ‘everybody-everywhere’ lattice of paths that seamlessly connect the park to its surrounds. 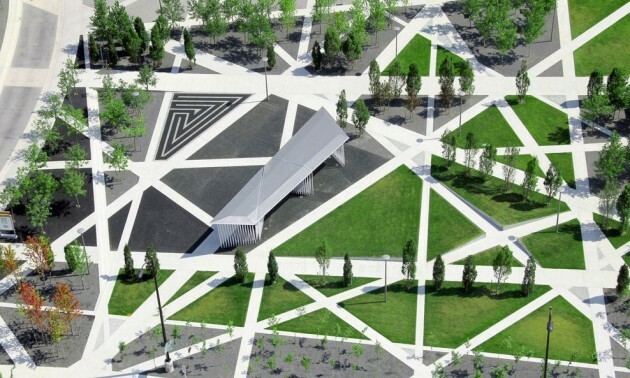 Lined with allées of columnar beech, the park’s facets contain variously: micro-forests; teaching amphitheatres; grass quadrangles; outdoor cafés; and public squares. 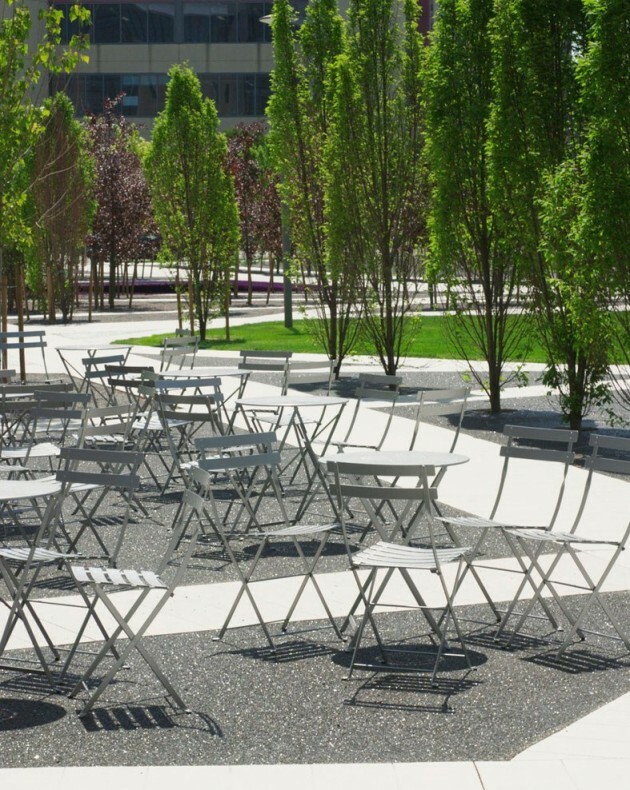 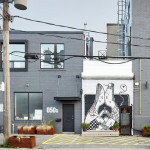 Effectively a series of discreet outdoor rooms, Scholars’ Green fulfills a need, in a neighbourhood undergoing densification, for a safe and quiet refuge for individuals and small groups of all ages.